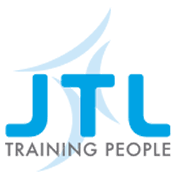 “JTL employs people all over the country and many of them work remotely, so it’s vital to have the right IT and communication technology in place. Not surprisingly, some of what I do is good old-fashioned troubleshooting. A remote user may not be able to access some important files, for example, or a particular computer terminal won’t boot up. But you don’t just sort out problems. You also get to contribute to more strategic things – like when to invest in software upgrades, or how to improve the integrity of our data, or even ways to enhance the performance of our telephone systems. These take a different kind of thinking and often involve dealing with key decision-makers within JTL. Technical skills are important, but so is the ability to explain complex information or technology in ways that everybody can understand. I am sometimes the first port of call for enquiries, and I am expected to know the answers – or, if not, where to find them!